A parliamentary report of 1777 recorded a workhouse in operation in Lancaster Borough with accommodation for up to 80 inmates. The town built a workhouse on the south side of Quernmore Road in 1788. The Poor are supported partly at home and partly in a Workhouse, where there are 57 inmates, mostly old women and children. They are employed in picking cotton, one woman spins silk, and one labourer goes out to work. He gets 12s. a week, more than is earned by all the other paupers in the house. The Workhouse stands on an elevated healthy situation on the common. In each room there are 2 beds, partly filled with chaff, and partly with straw. Neatness and regularity are much attended to. Four cows are generally kept, from which near £20 are annually made by the sale of butter, none of which is used in the house, except for the sick and the governor and governess. The average number in the house is 55 to 60. About 120lb. of beef are consumed weekly in the house. It is said that in 1740 there were 10 persons in the house. The bill of fare is occasionally altered by the master, but the following is usual: Breakfast—every day, milk pottage. Dinner—Sunday, Tuesday, Thursday, bread, broth, beef and vegetables; Monday, Wednesday, Friday, broth, bread and hashed meat; Saturday, a sort of hash made of the meat unconsumed in the week, and butter milk. Supper—milk pottage every day. This is the general summer diet, and at other times while they have plenty of milk; when it is scarce the Poor have 3 broth breakfasts and 4 milk pottage breakfasts a week, and hasty pudding for supper every night. Oatcake leavened is the common bread in Lancashire. It is preferred to any other. County of Lancaster: Aldcliffe, Ashton with Stodday, Bulk, Carnforth, Cockerham, North and South Ellel (2), Heaton with Oxcliffe, Lancaster (6), Middleton, Overton, Overton Wyersdale, Priest Hutton, Scotforth, Silverdale, Skerton (2), Thurnham, Warton with Lindeth, Yealand Conyers, Yealand Redmayne. Later Additions: Bolton le Sands (from 1869), Cockersand Abbey (from 1858), Heysham (from 1869), Morecambe (1924-28), Poulton Barre and Torrisholme (1869-1924), Slyne with Hest (from 1869). The population falling within the Union at the 1831 census had been 25,006 with parishes ranging in size from Aldcliffe (population 96) to Lancaster itself (12,613). 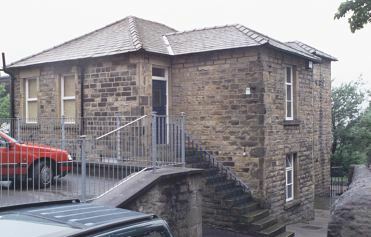 The Lancaster Union took over the existing workhouse on Quernmore Road. The building was greatly enlarged in 1840-41 at a cost of £4,000. The layout of the new main building did not follow any of the standard designs but contained elements of both the 200-pauper and courtyard plans. A cluster of buildings were later added at the north of the workhouse site. These included the new porter's lodge and receiving wards in 1889. Other buildings included an infectious hospital and children's home at the north-east, and an infirmary to the south. The enlarged layout is shown on the 1911 map below. Lancaster entrance from the north, 2001. Lancaster entrance from the north-east, 2001. The children's home could accommodate up to 60 boys and girls. 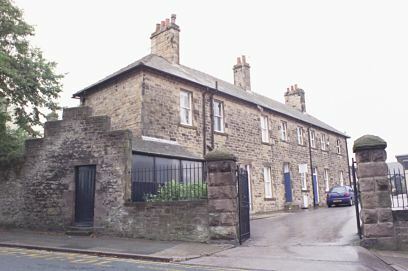 Lancaster workhouse former children's home from the north, 2001. A single storey block to the west of the children's home is said to have been a vagrants' ward. 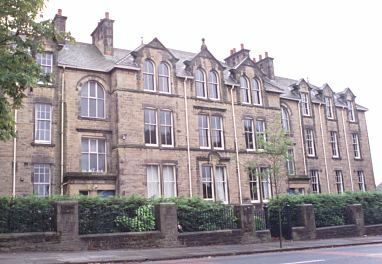 Lancaster vagrants' block from the south-east, 2001. 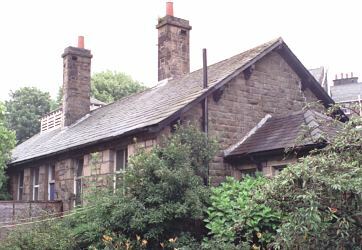 After 1930, the workhouse became Parkside Institution under the control of Lancashire County Council Public Assistance Committee. In 1948 it joined the new National Health Service as Bay View Hospital and continued in operation until 1962. The main workhouse building no longer exists. The surviving blocks at the north of the site now form part of the Lancaster Royal Grammar School premises. Lancashire Record Office, Bow Lane, Preston, Lancashire, PR1 2RE. Holdings include: Guardians' minutes (1839-1930); Relief books (1894-1945); Pauper lunatic records (1865-1923); Creed registers (1926-46); etc. T. Bulmer & Co. (1912) History, Topography, and Directory of Lancaster & District.